Besides the sheer quantity of recyclable material found, the number of brands is also staggering. Who knew that the country needed 219 types of alcohol? Alcohol containers also comprise nearly one-third of the total recycling found. 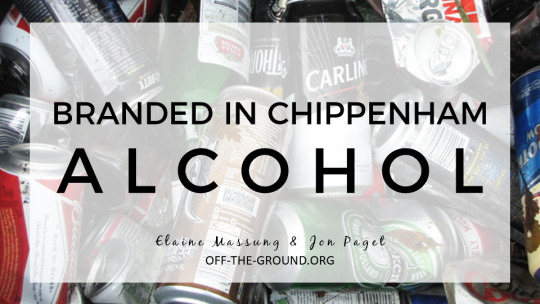 So while you’re enjoying your Christmas sherry, click “keep reading” to see the list of alcohol that has ended up as litter in Chippenham, and consider joining us in cleaning up the community in 2018.